Paul is multi award winning Learning and Development Professional. 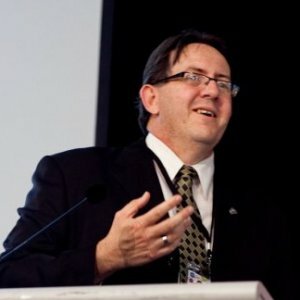 He is a Thought Leader and Speaker on Organisational Learning, The Australian VET and RTO sector, Formal and Informal Learning and the future of learning. He speaks widely and has published work in the areas of Learning and Development, Learning evaluation, Vocational Education and the business of RTO's. With Qualifications in Ethics and Bioethics, Organisational Learning and Development, Training, and Business Management and Leadership, Paul has worked in and with a wide range of public, private, government and not for profit organisations. He is currently the National Training Manager for Spectrum Training and the principal consultant with Rasmussen Learning. Commencing in 1994, the Australian Training Awards Program is the peak, national awards program for the vocational education and training (VET) sector, recognising organisations, training providers and individuals for their contribution to skilling Australia. “Chief Learning Officer is proud to recognize organizations such as UnitingCare Community that make learning and development a key part of their business strategy as well as their culture,“ said Norm Kamikow, president and editor in chief of MediaTec and its Human Capital Media Group. “This level of commitment is what enables enterprises to build and maintain high-performing workforces with the competencies, capabilities and leadership skills to carry out the company’s mission.